While some families enjoy hiking, boating or softball, this family loves shoveling frozen food, sorting boxes of donated food and inspecting pallets full of potatoes. Elizabeth works full-time as a legal secretary, and as hard as it is to believe, she still struggles to feed her young family. Learn how your support makes a difference. State Legislature is in Session! 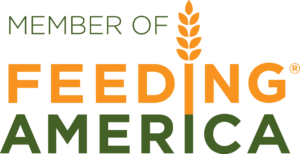 As Washington lawmakers head into the 2015 legislative session, take a moment to learn more about three important pieces of anti-hunger policy.